Allphones is the most modern one-stop-shop for the latest mobile devices and postpaid plans in the Philippines, they are also committed to offering you only best deals on your mobile phones, SIMs, and postpaid accounts—that are affordable, with the highest value-for-money, and with customized features that fit all your communications and lifestyle needs. 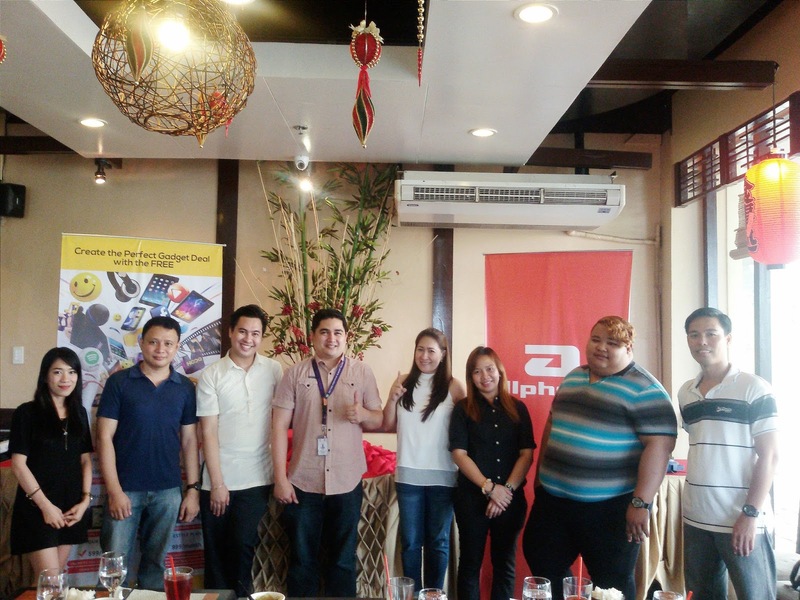 Iloilo bloggers was invited to AllPhones Store Blessing last November 25,2015. Prior to the store opening, we had our casual meet and greet at Hamada Japanese Restaurant with Allphones panel members: Head Office Marketing: Allan Catli, Area Sales Head Mikee Morado, Store Manager Res Mabaquiao. Create the perfect gadget deal for you by choosing your shopping money. You got to choose your own mobile device to your liking + postpaid plan + accessories! Applying for a postpaid plan has been made fun and easy (yes, you no longer have to stand in long queues!!) through their digital “paperless” processing—instead of filling out forms and documents, you’ll enter your customer data using a tablet device. (Thank you Allphones for helping mother nature!) If you're interested to avail their postpaid plans, you can visit their store at 3rd floor, SM North wing Cyber-zone (SM Expansion).